But it wasn’t the promise of great riches that drew me to write this article. This book has made my writing classes more enjoyable (for both me and my students), more interactive, and best of all, more productive. As a teacher, I still read her poetry to my students, of all ages, because it’s fun and well written and the kids like it. But this book? Wow. It’s an incredible teaching resource. She has made the lessons so easy to follow that you could put a sticky note on any one of the pages and leave it on your desk for a substitute teacher…without any explanation. It’s that straight-forward. If you teach writing to children, do yourself a favour and get this book. You won’t regret it. 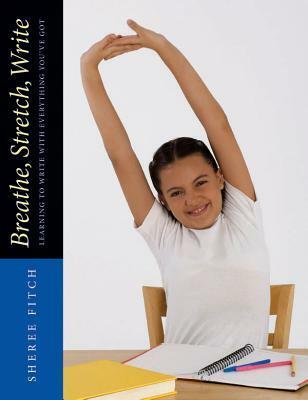 Here is a link the AVISO article, “Breathe, Stretch, Write: Using Sheree Fitch’s Writing Resource in the Classroom.” The article opens in Adobe and starts on p.22. To purchase this wonderful resource, link here to Pembroke Publishers. Thanks for sharing! I definitely need to check out this book!